Repotting houseplants with our "terraponic method" makes the transition from soil easy because the roots are not disturbed. 1. 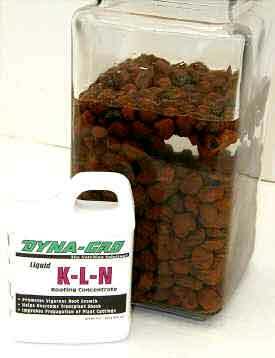 Soak pebbles for several hours (or overnight) in KLN Rooting Solution. 2. 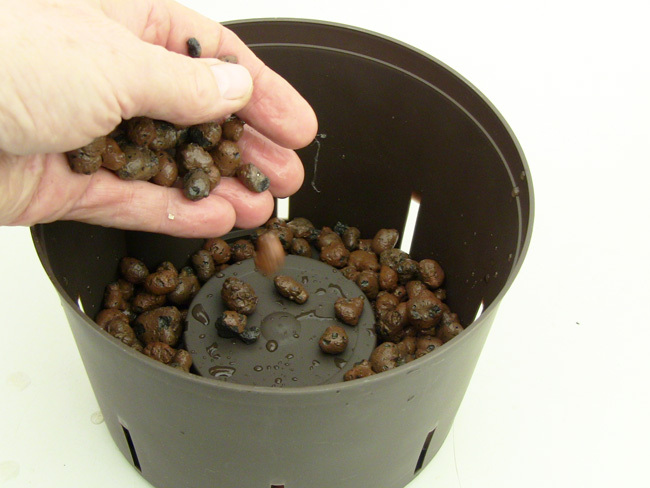 Choose a hydroponic grow pot that is slightly larger than the existing grow pot. 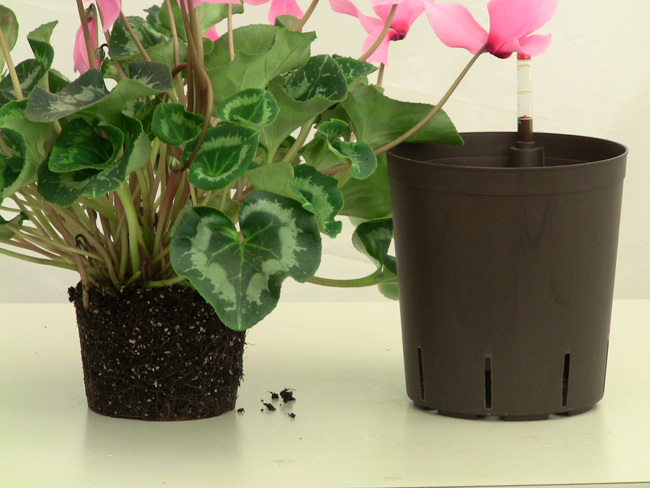 For table top plants the new grow pot should be at least 1-2" wider and 1" taller. 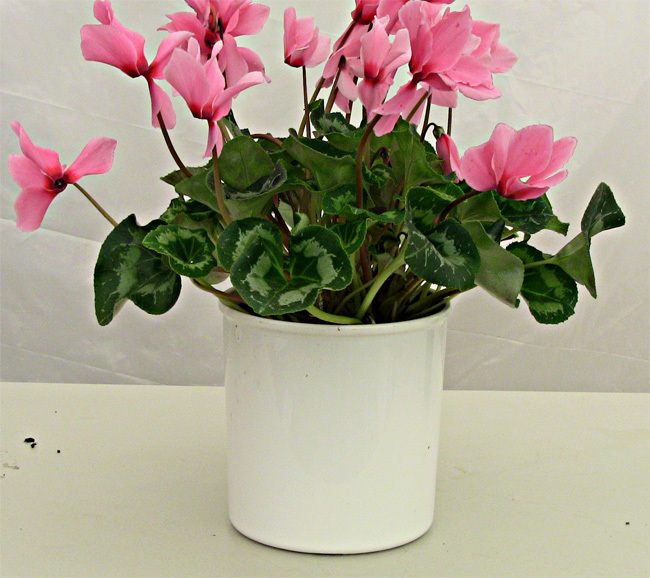 Floor plants need pots at least 2-3" wider and 2-3" taller. 3. Cover the bottom of the new pot with pebbles. About 1" for table top plants and at least 2-3" for floor plants. 4. Position plant on top of pebbles. Add fresh pebbles around side of root ball. 5. Pack down pebbles. Be aggressive - use a tool if necessary. Pebbles are round so you won't be damaging roots. 6. Add more pebbles at top until root ball is covered. 8. Put plant in outer pot. It's that easy! You now have a new "Terraponic Plant". 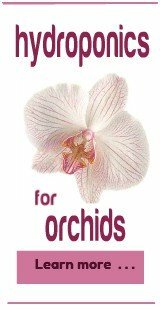 Terraponic plants need less water! That soil root ball inside the pot holds water much longer than LECA pebbles. And it needs to dryout between waterings too - so be careful with the water at first. 1. Using the water gauge as a handle, lift plant (and inner pot) and take to sink. 2. Pour water (or KLN Rooting Solution) through the pebbles. 3. 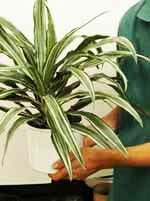 Return plant to outer pot with no standing water at the base. Any water that drains through after watering and sits at the bottom is okay. 4. Repeat once a week for 3-4 weeks. 5. 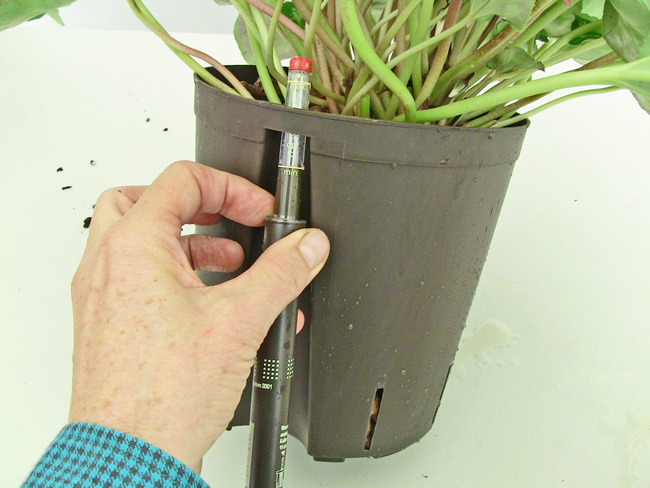 After initial period, start watering to 1/4 on gauge. 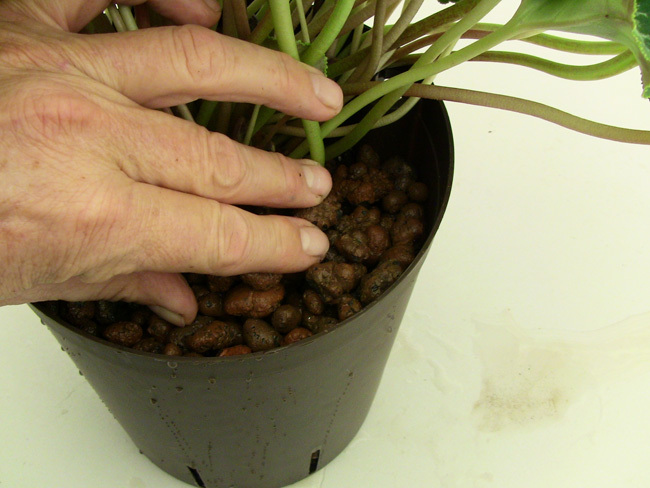 Lift inner pot to check if bottom of outer pot is dry before rewatering. 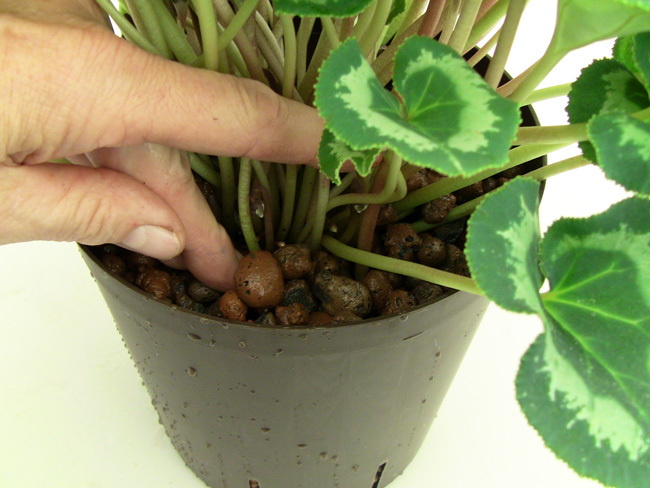 With terraponics, the weight of the plant is a good way to judge when it's time to water. When the water gauge reads "Min", it doesn't mean it's time to rewater. 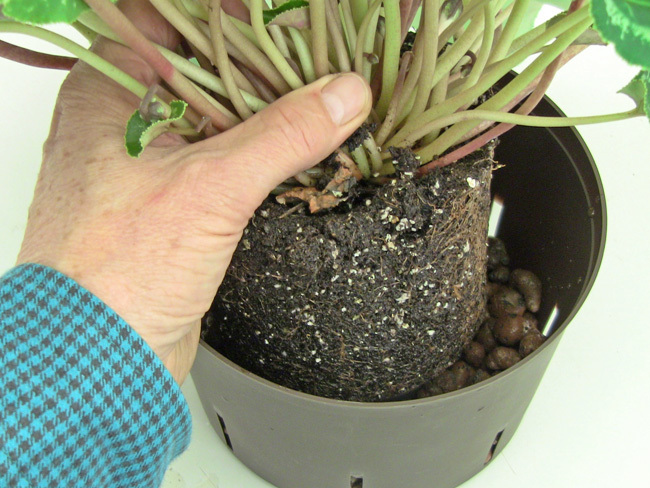 That soil root ball buried down inside the pot is still wet - and it needs to dryout so those roots get air too. A good way to check for this is simply lifting the plant. If it feels heavy (like the pot is full of bricks), there's still water in the root ball and you'll need to wait a couple of days - sometimes up to a week - before watering. On the other hand, If the plant feels light (like the pot is full of feathers), it's time to rewater. Just like hydroponics, these plants should dry out in 2 weeks. If there's still water in the reservoir after 2 weeks - or the plant feels heavy - dump out any remaining water and force a dry period of several days before rewatering. Then rewater, applying a less. Watering to only 1/4 on the gauge is common for most terraponic plants. Over time, terraponic plants start acting like hydroponic plants because their roots have grown out into the LECA pebbles. Roots at the bottom of the culture pot growing into LECA pebbles. 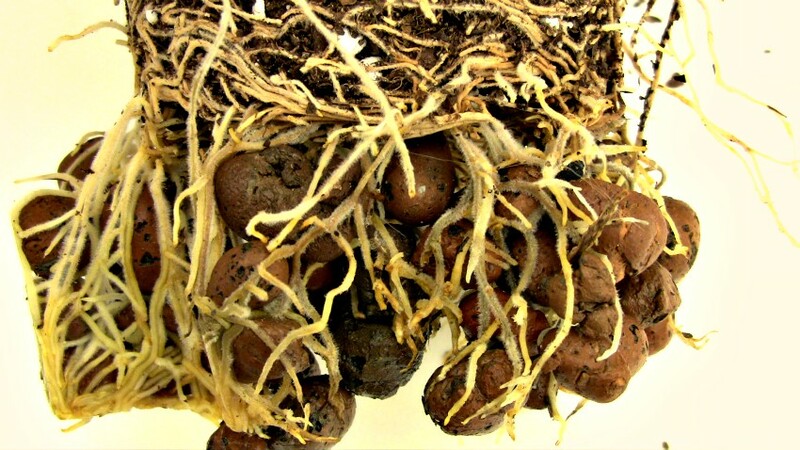 Hydroponic roots mean a stronger, more durable plant. After plant adapts you don't need to be nearly as careful with watering.